We have seen the future. And it’s strange – in a good way. 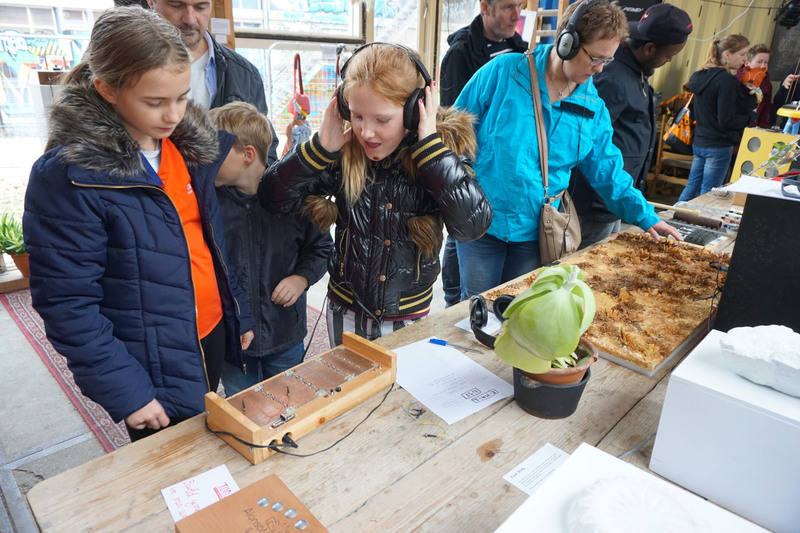 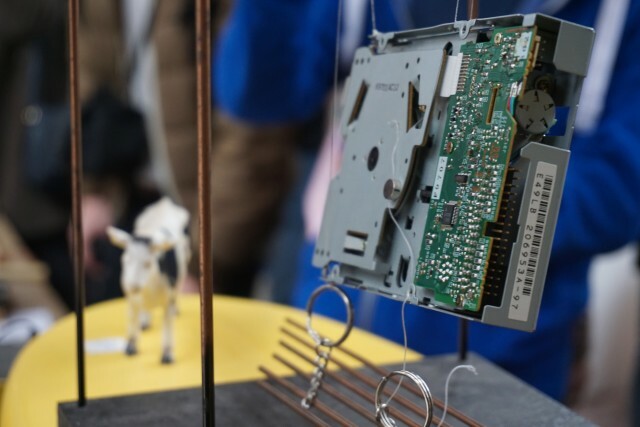 Bizarre Sound Creatures was an exhibition late last month held in Eindhoven in the Netherlands, accompanied by workshops and performances. 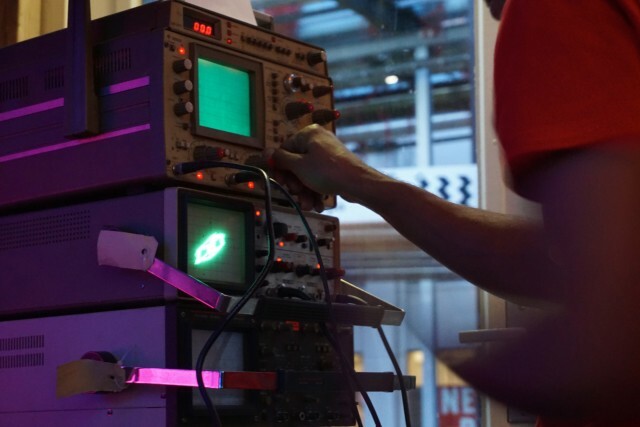 The theme wasn’t just new instrument design and music making, but imagining a future world with peculiar evolutionary twists. 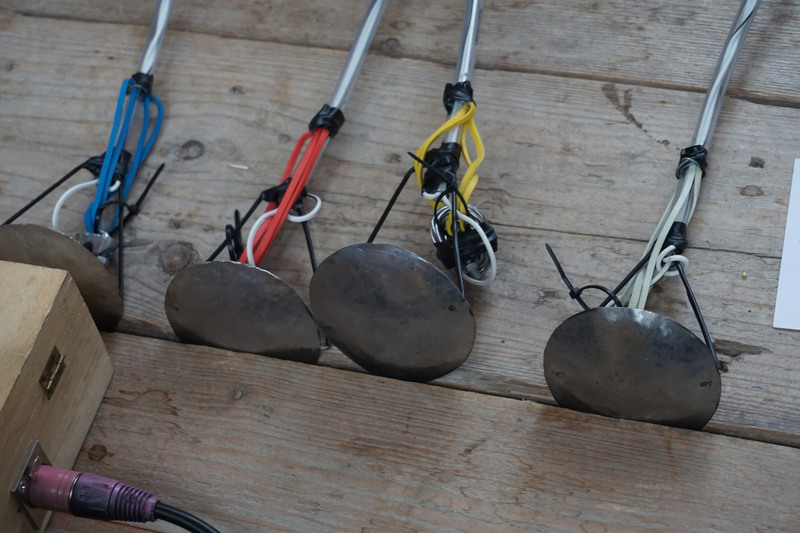 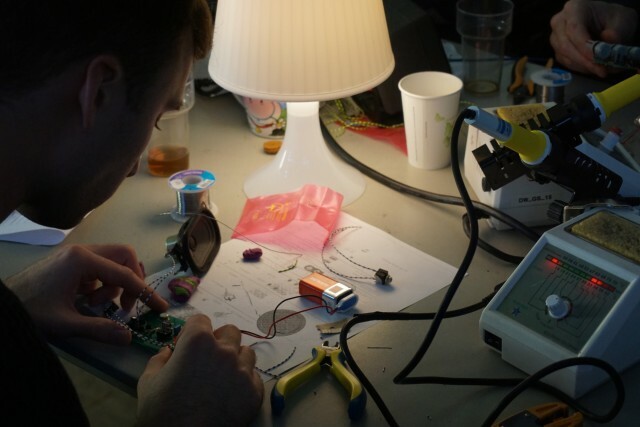 These are musical objects with odd appendages and surprising interfaces. 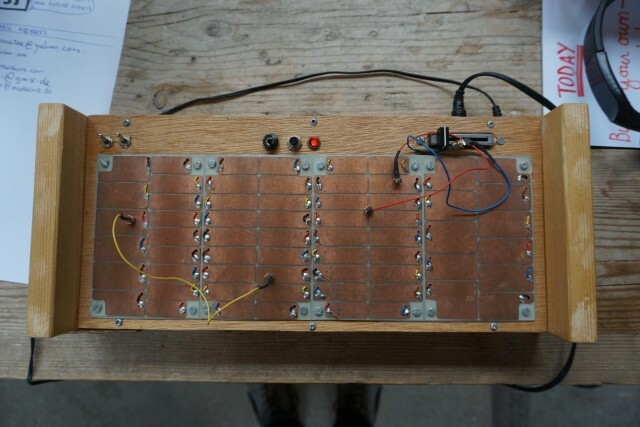 Bizarre Sound Creatures teaser from Arvid Jense on Vimeo. Bizarre Sound Creatures had a packed program of artists and inventors, centered at Eindhoven’s post-industrial Strijp-S. Eindhoven may be less a household name than Amsterdam or Rotterdam, but the home of Philips has emerged as a hub of creative Dutch energy, and the exhibition was neatly timed as Dutch Design Week attracted international crowds. Tens of thousands surged through the pavilion, accordingly, a tide of Europeans interested in what’s new – locals and visitors alike. There was so much, in fact, that’s easier to show you than tell you. 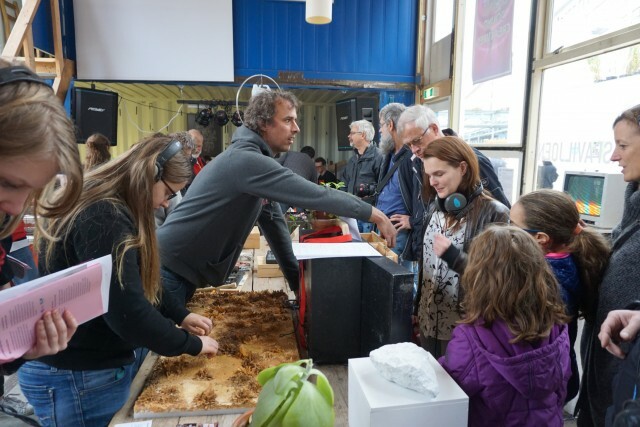 Exhibitions by day were paired with workshops and performances by night. 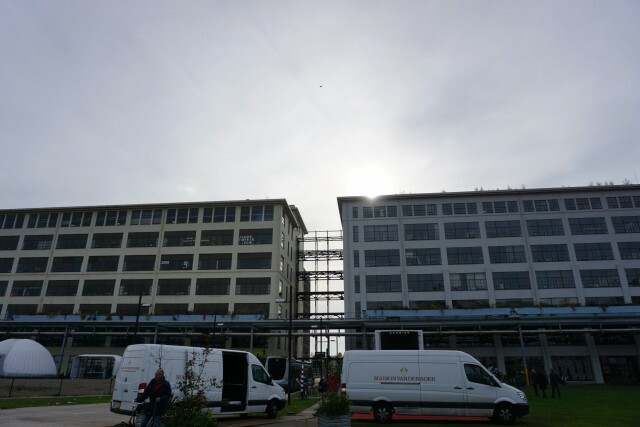 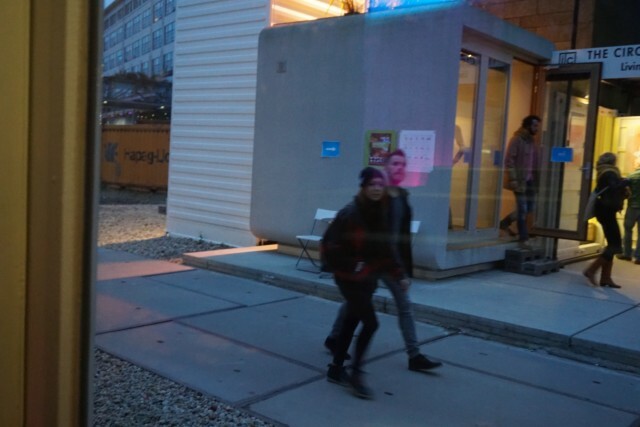 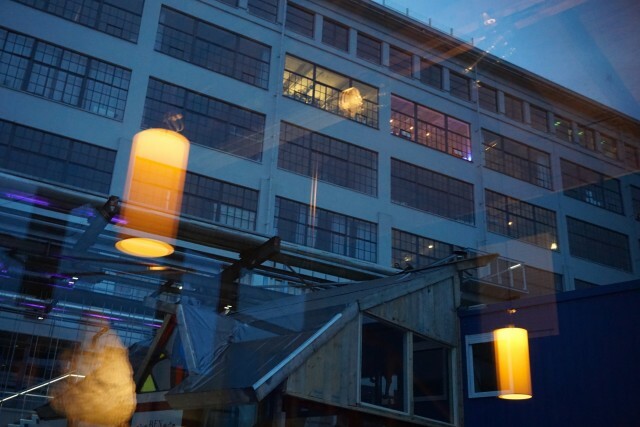 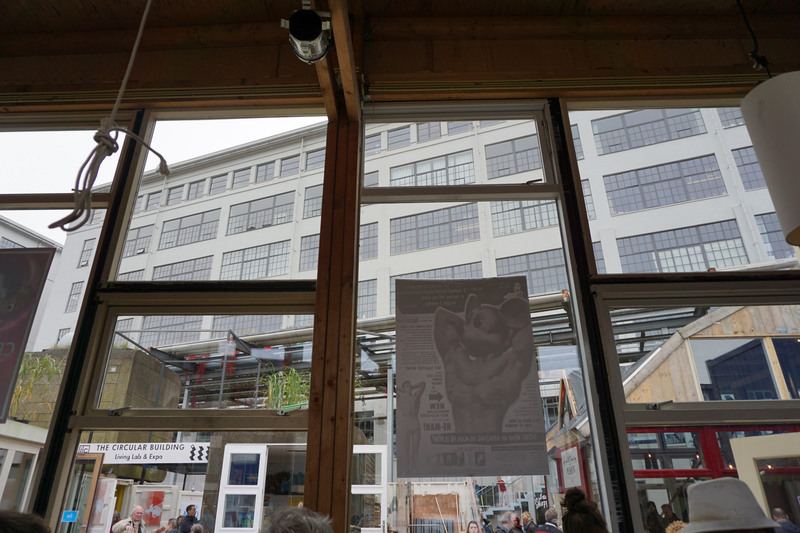 The space, constructed from containers, was Het Glaspaviljoen, part of the ex-Philips Strijp-S complex. 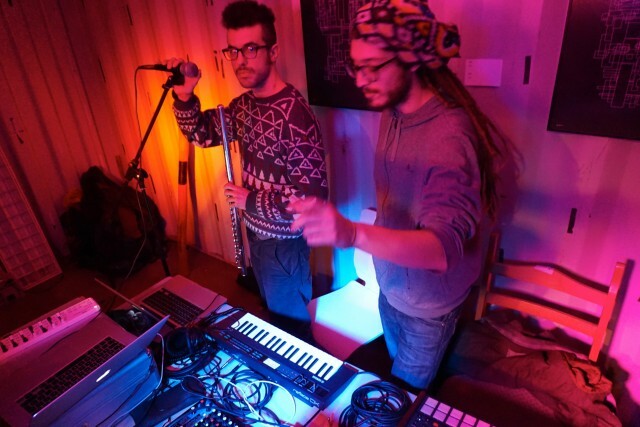 Local electronic music collective Geluidsdrug put on the week’s events, spurred on by the group’s regular electronic jam sessions. 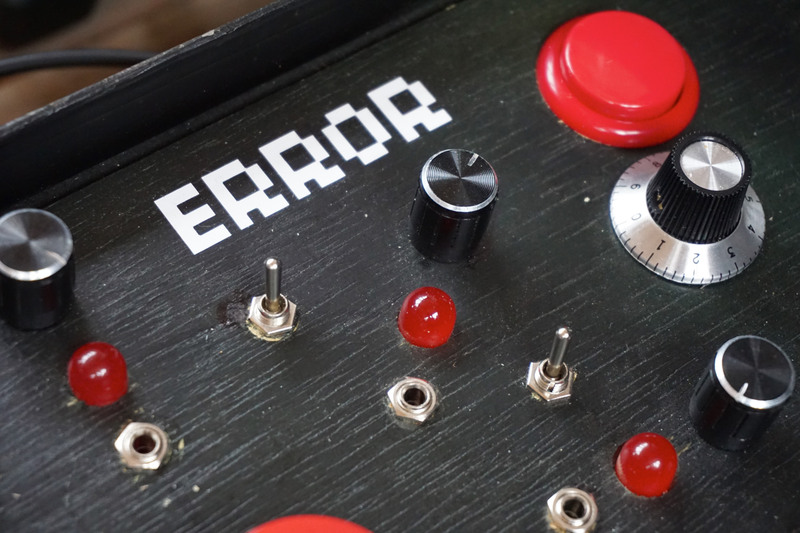 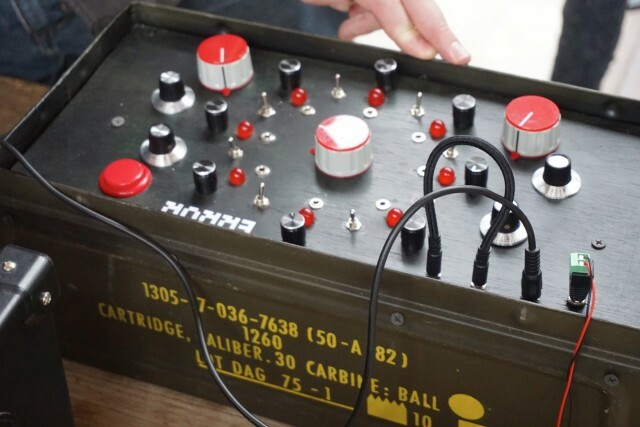 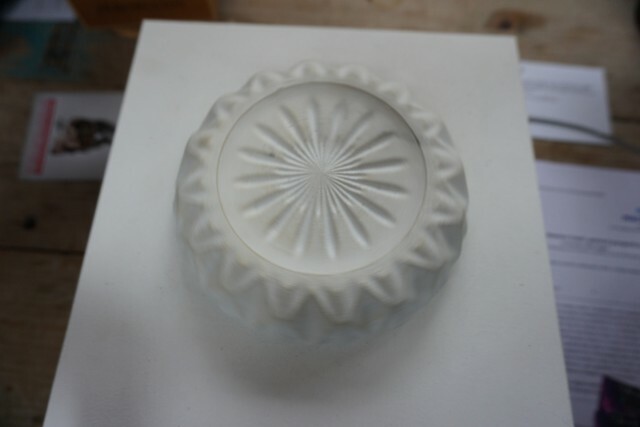 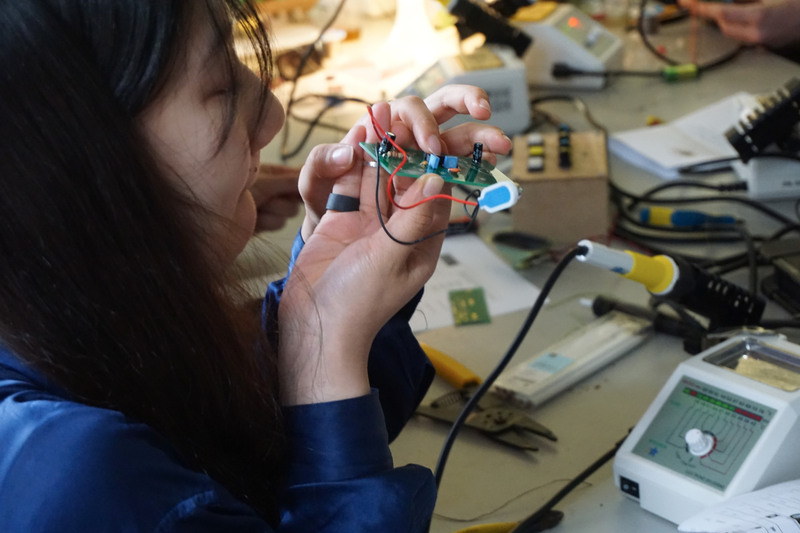 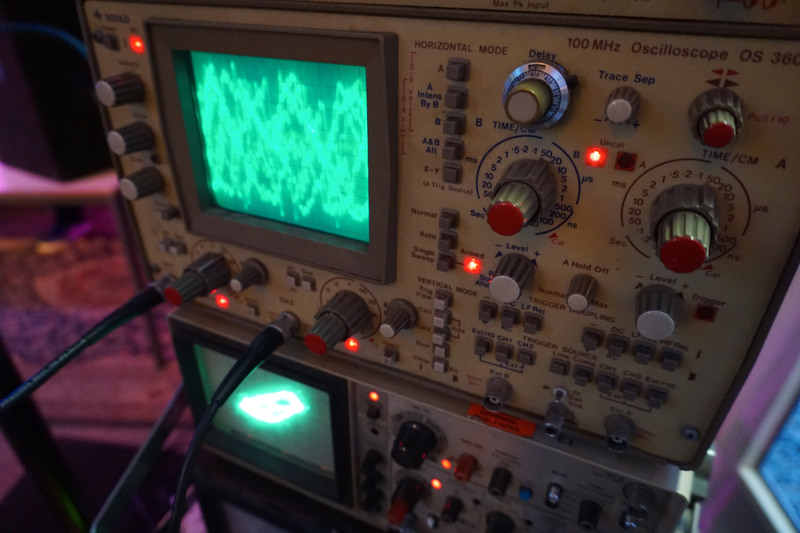 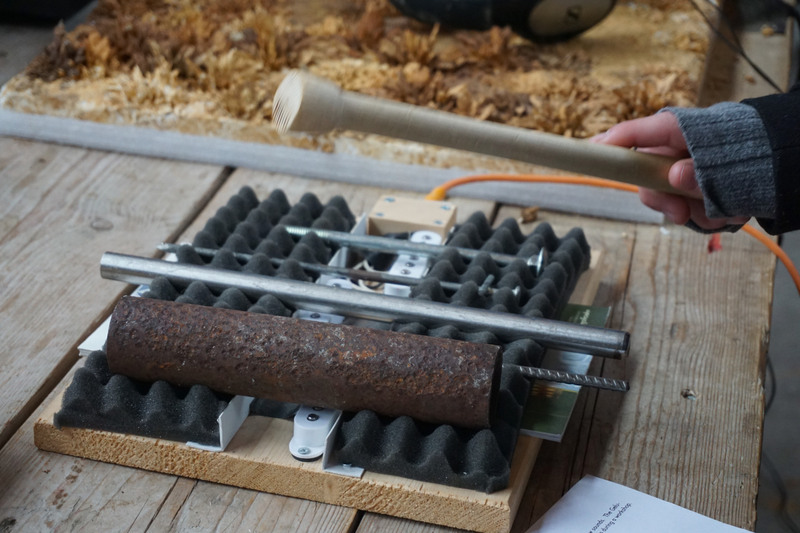 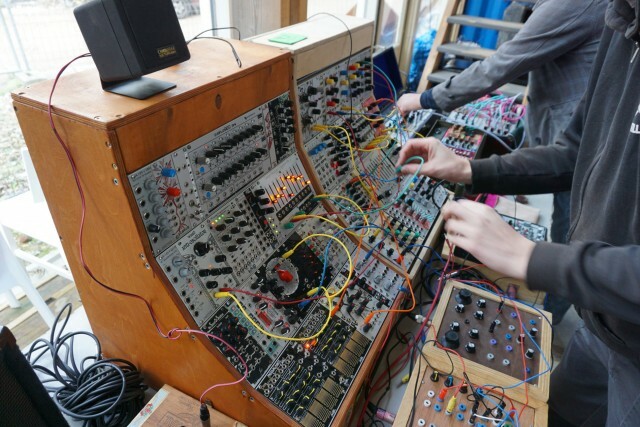 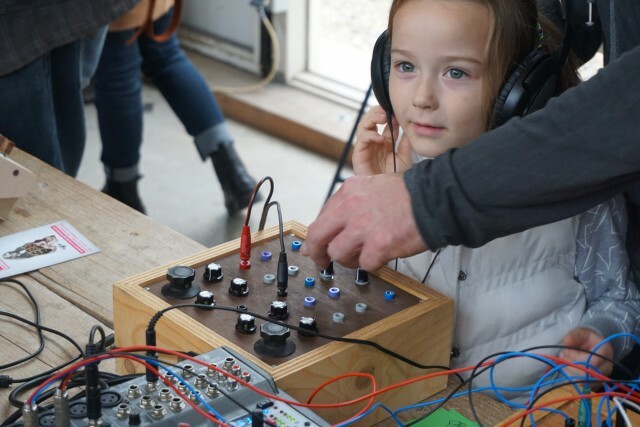 Arvid Jense, a veteran of our own MeeBlip project and one of the minds behind the event, contributed this poetic study of the potentials of the knob, accompanying his own just-finished research. 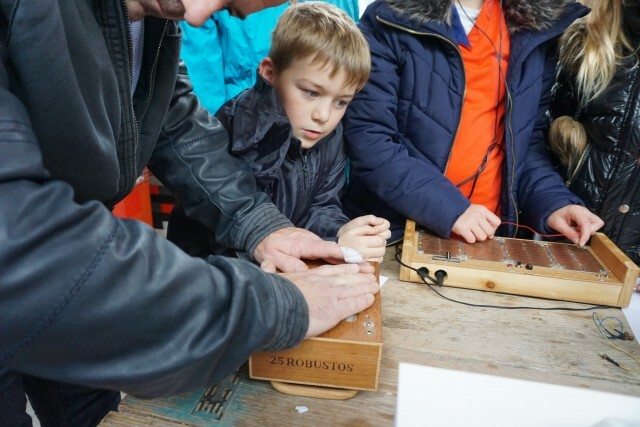 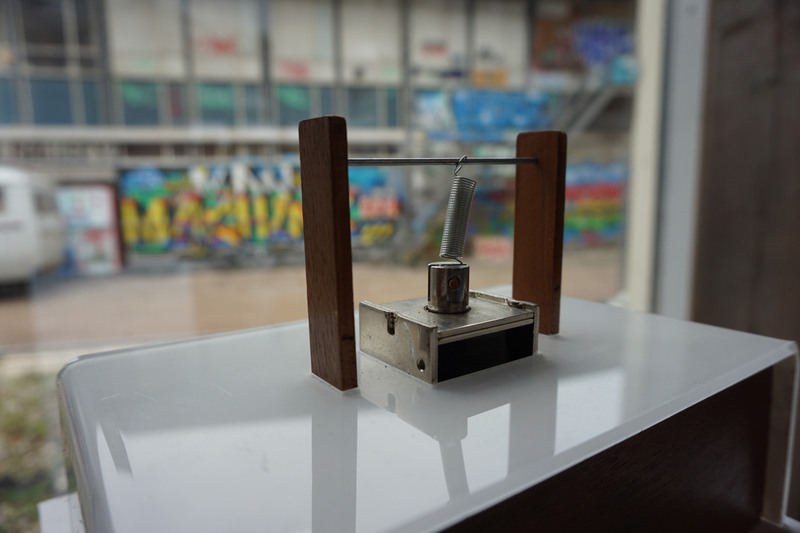 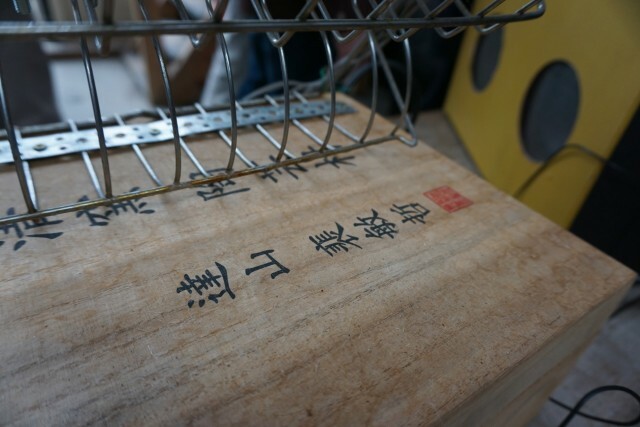 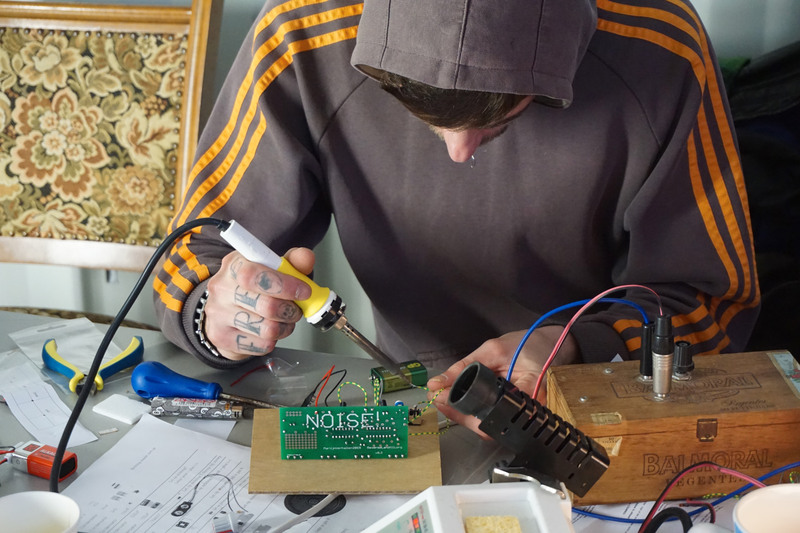 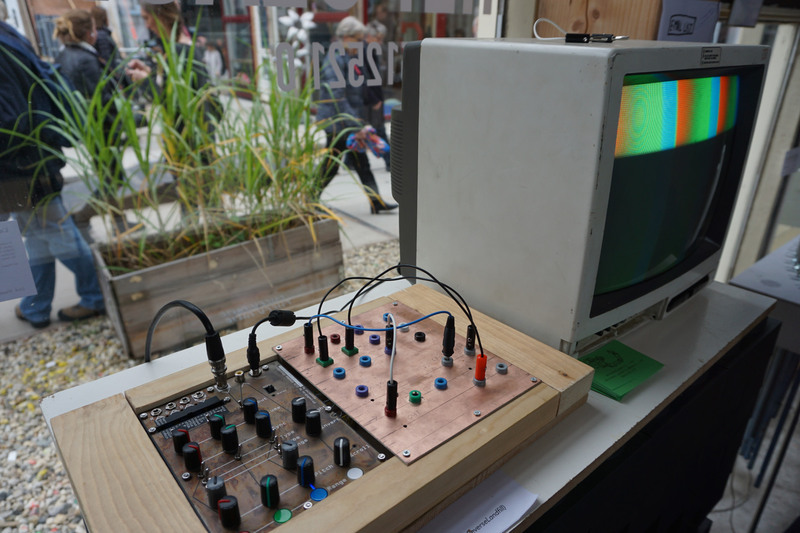 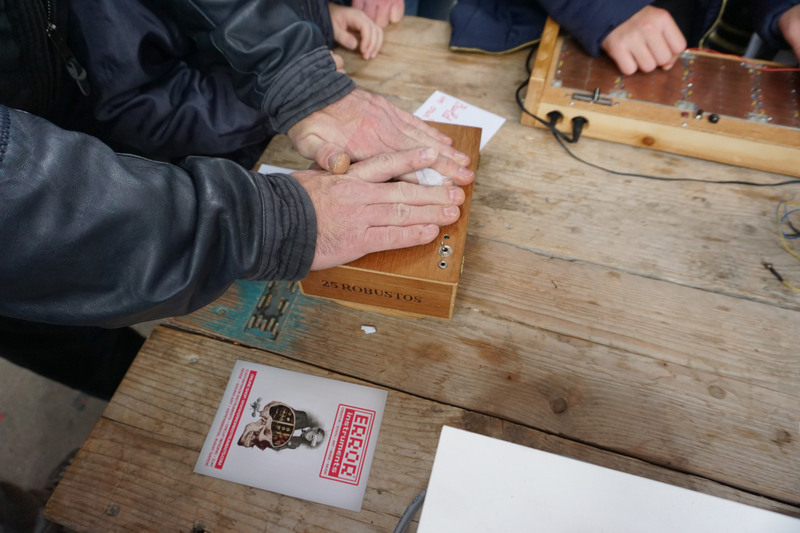 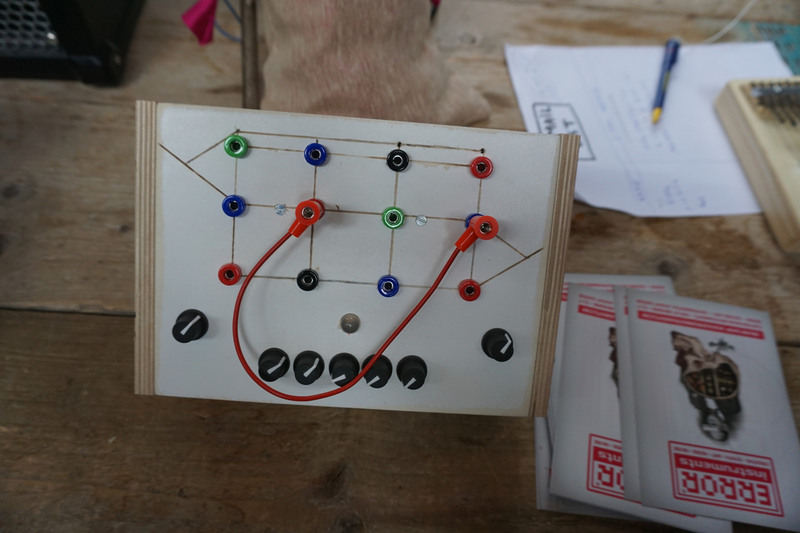 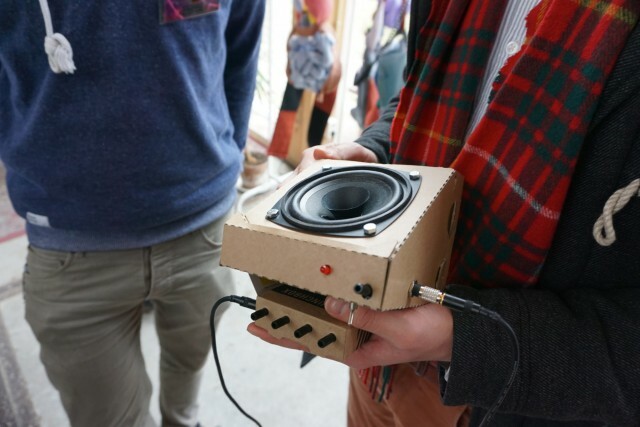 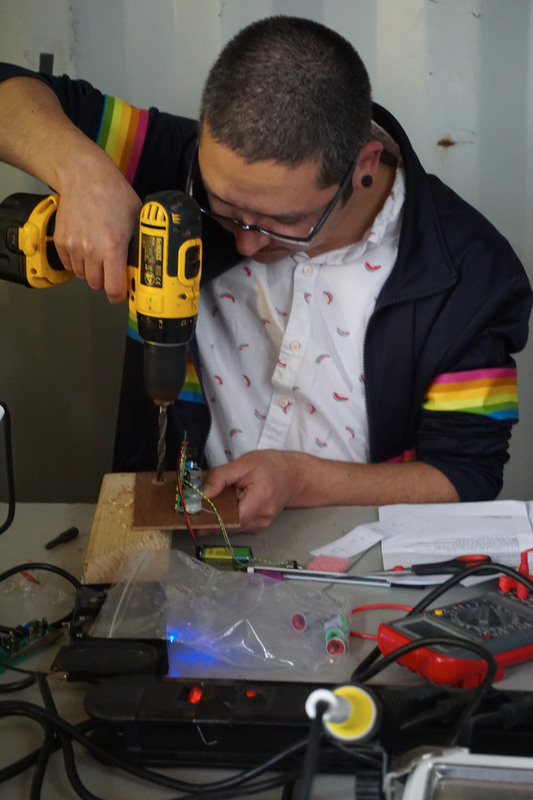 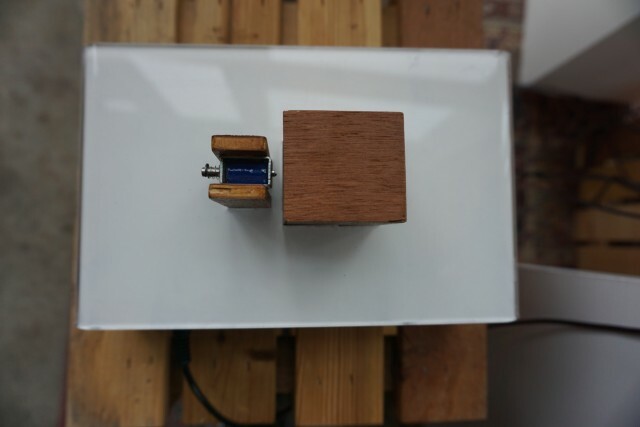 Cas Zeegers‘ ‘noids’ are boxes with physical synthesizers – kinetic mechanisms that make sound. 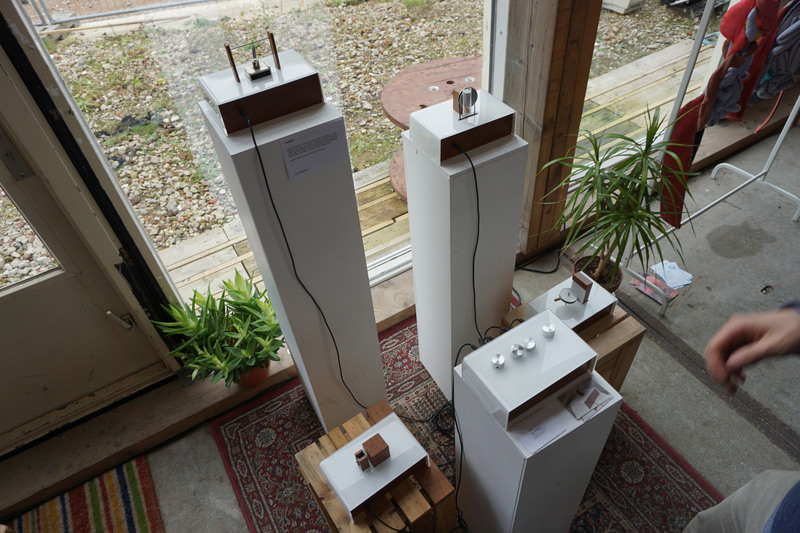 They’re lovely objects even as sound sculptures, and great fun to make noises. 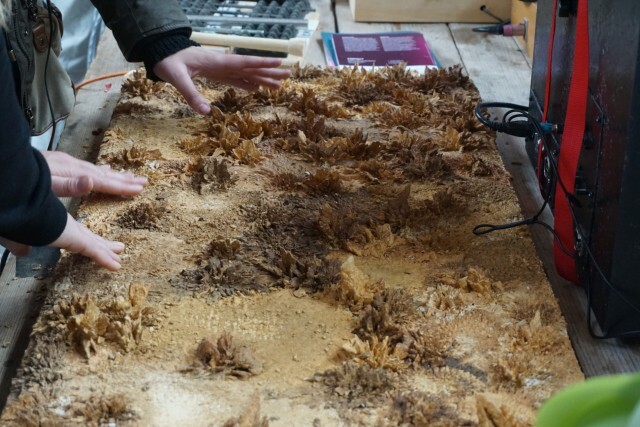 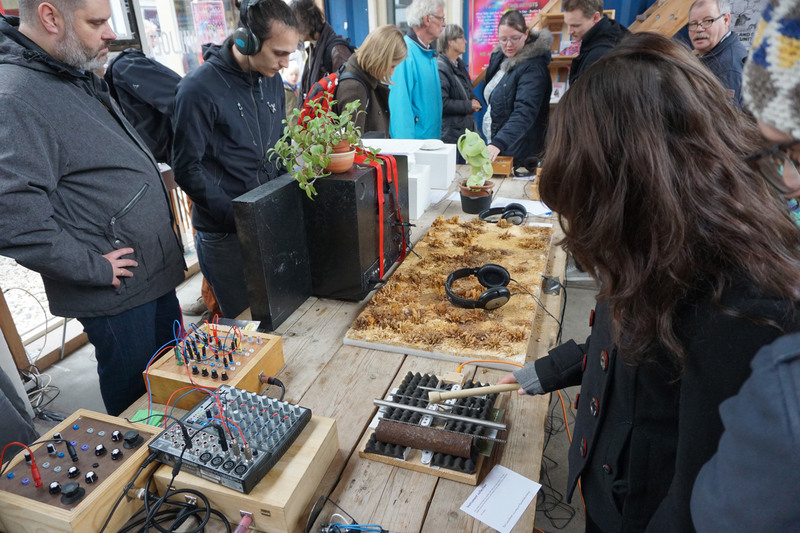 “Quiet Sound” by Vito Boeckx was a crowd favorite, a magnetized landscape activated by touch, producing textural sounds. 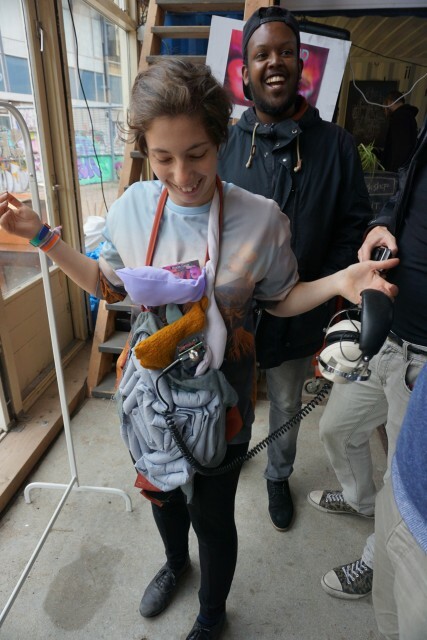 You might want to eat a burrito before this one: ‘Bellybar’ by Leif Czakai and Merle Bergers is both a wearable model of the stomach and an instrument for amplifying the sounds of your innards. 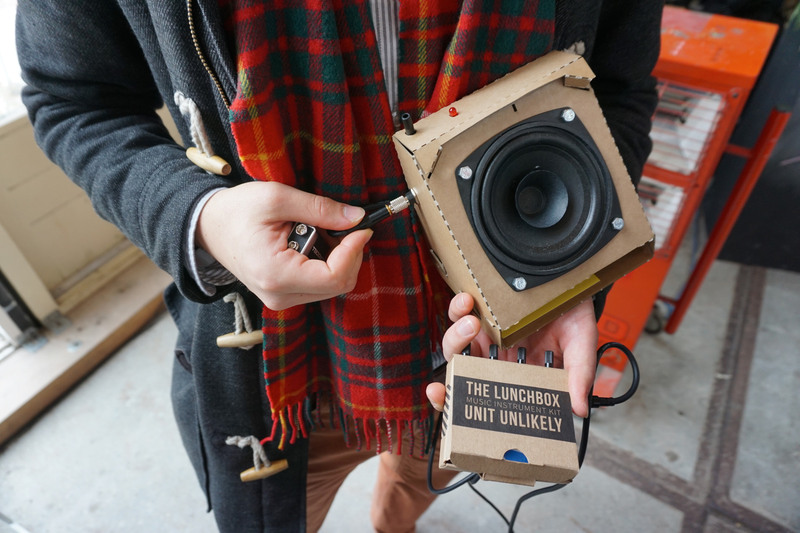 “We Love Trash” constructs instruments from discarded objects explores unusual material possibilities. Wavecircuit by Arvid Jense and Marie Caye lets you mold soundscapes in physical form. 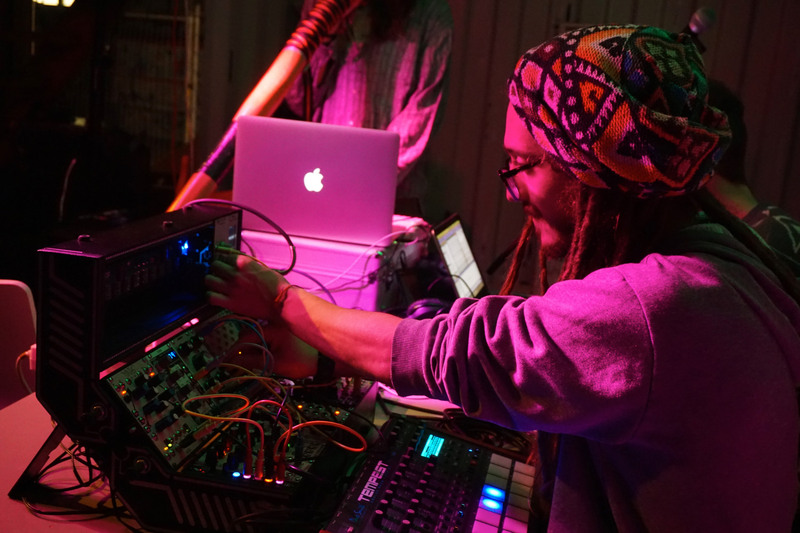 Performances included Amniotic Gap and an analog/digital/acoustic ensemble, plus Tijs Ham playing a zero-input mixer set that I found uniquely engaging (and rather musical and rhythmic, in ways you might not expect). 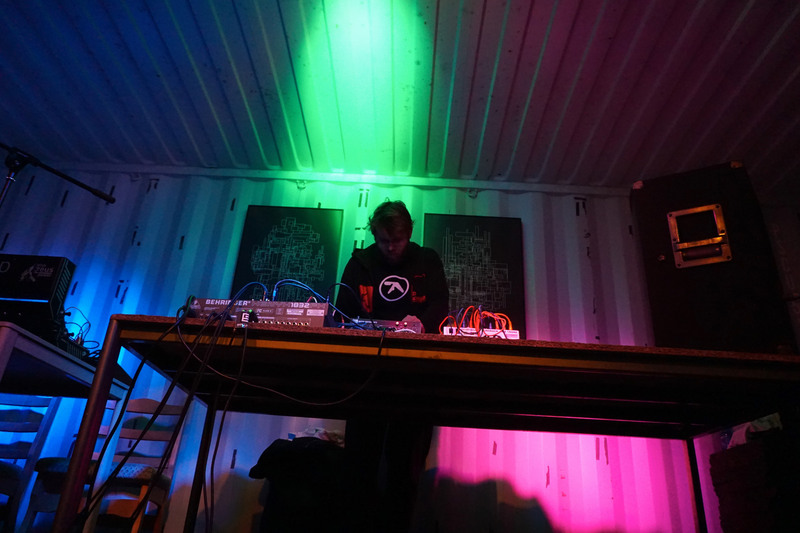 I also came onboard for a live techno set to close out the evening. 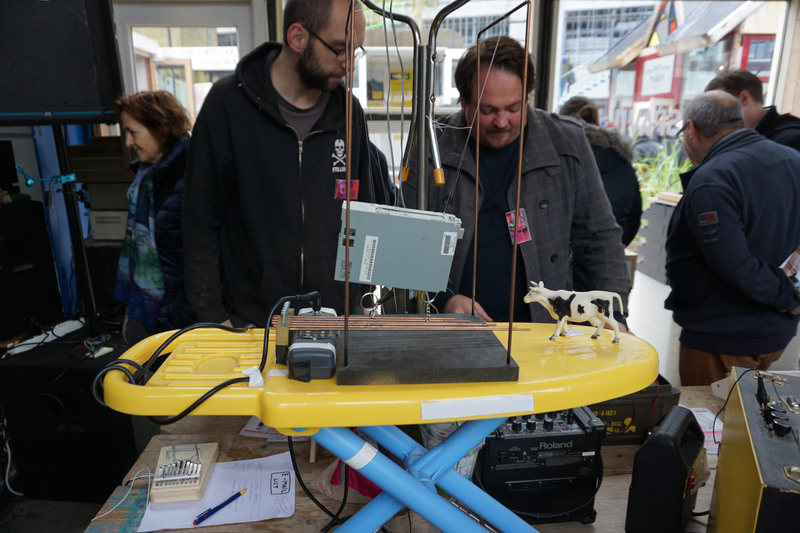 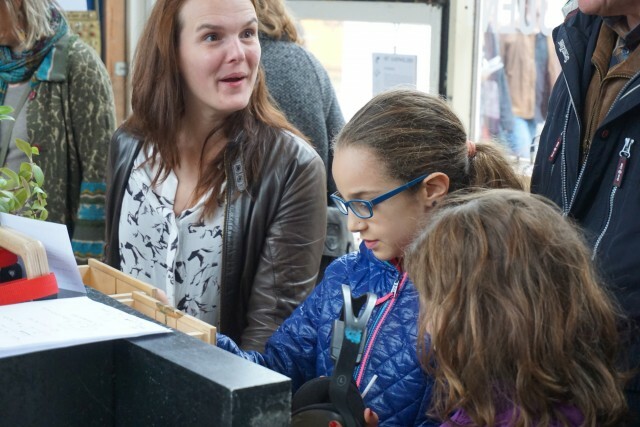 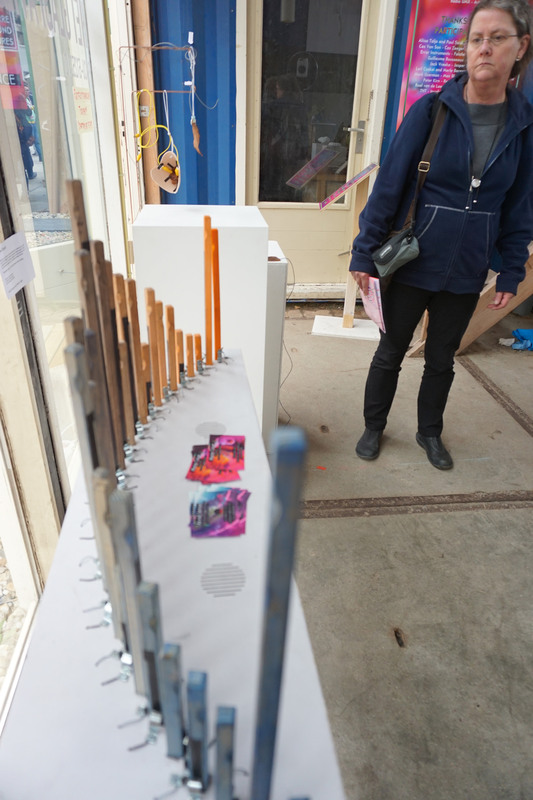 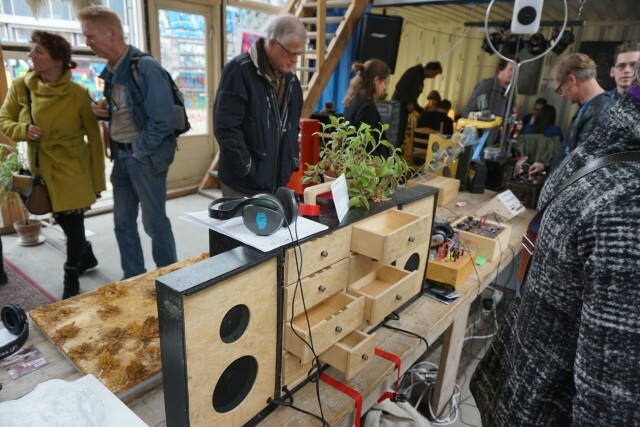 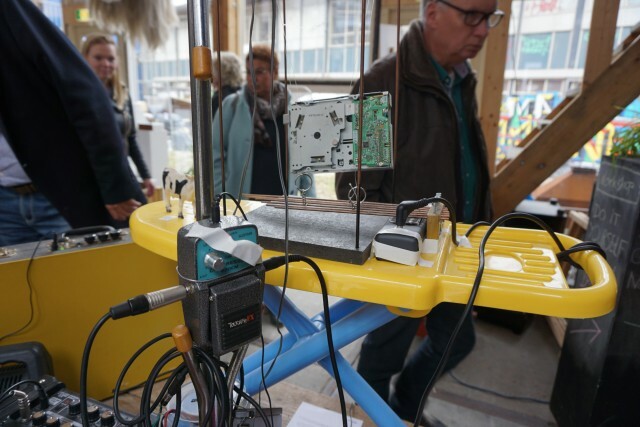 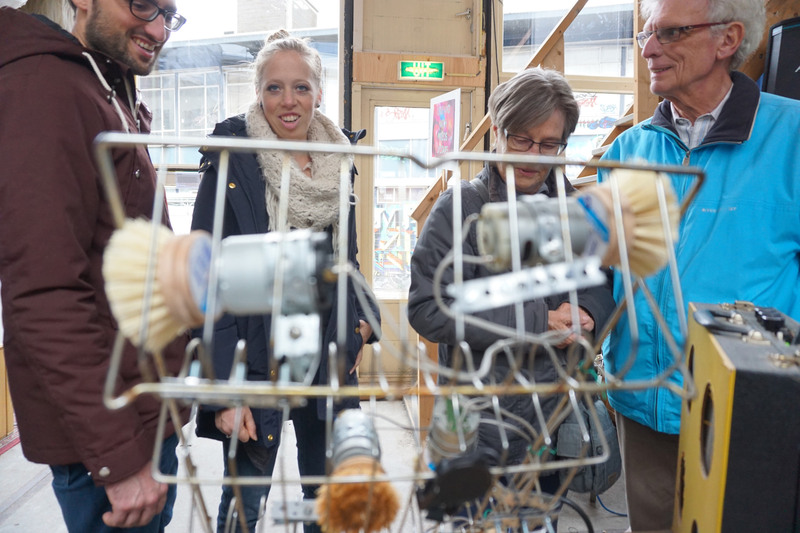 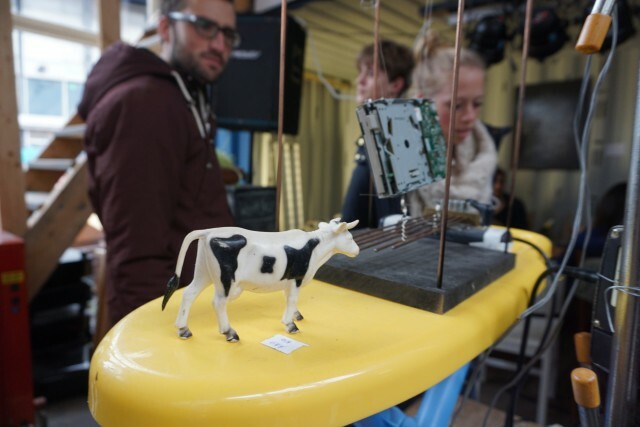 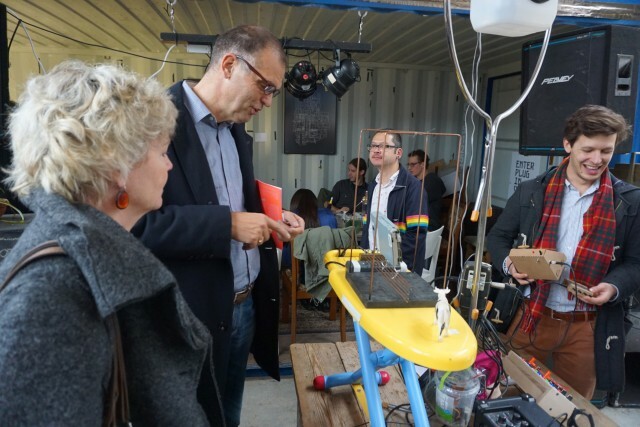 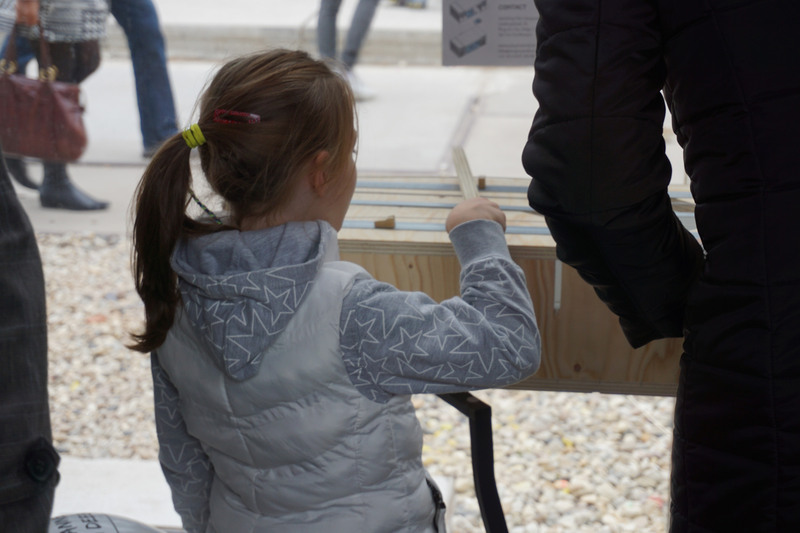 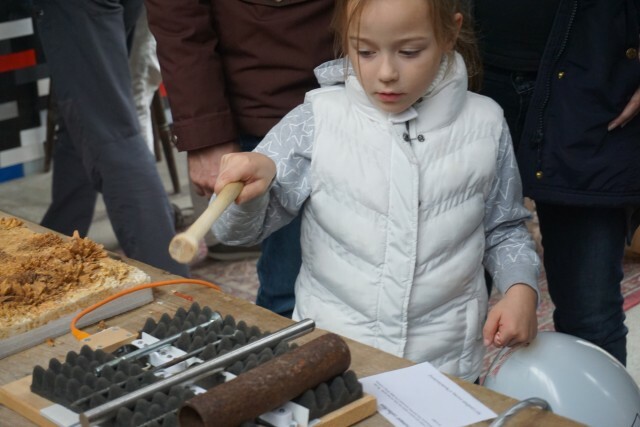 Lots of supporters were behind the project: Industrial Design TU/e (the local technical university), De Bakgigant, Geluidsdrug, Zinloos Geluid, Artspace Flipside, and Axesjazzpower Eindhoven.